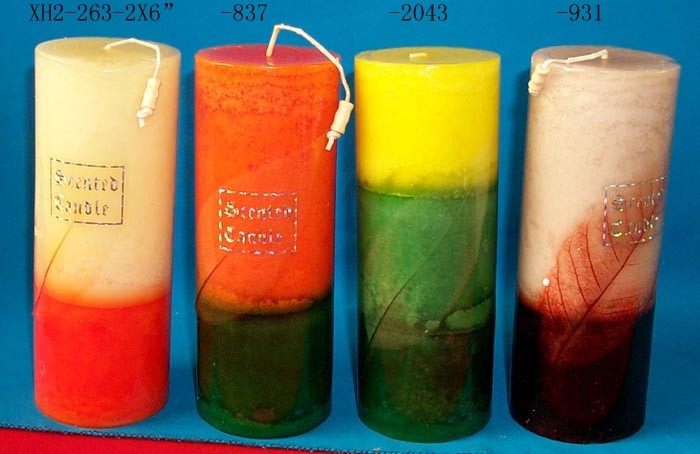 The color and scented Pillar Candle with decoration inside, the size is about 2"x6"
The craft candle is a candle which produces all kinds of color flame in the combustion, and is composed of the main combustion agent, the hair color agent and other auxiliary agent. The principle of hair color is in accordance with some metal ions or their compounds in the heat, the molecules in the high temperature effect, from the original orbit, the formation of transition movement. Electrons emit the energy stored in the original when they jump, and emit a variety of gloss, the color of the light depends on the radiation spectrum of the substance. 1, there are a variety of burning colors: red, yellow, blue, green, purple, etc..
2, non-toxic, no smoke, tasteless, can eliminate the smell. 3, the combustion temperature of 85 DEG C, after turnover is not easy to burn. 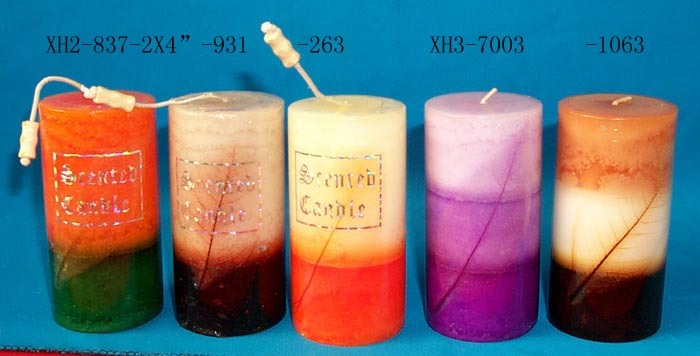 4, the flame is soft, can DIY make the color of the candle body, free combination of flame color. 5, wick combustion does not produce CO combustion gas, no pollution to the environment. 6, for natural organic matter, easy to dissolve, with soap and water is easy to clean. 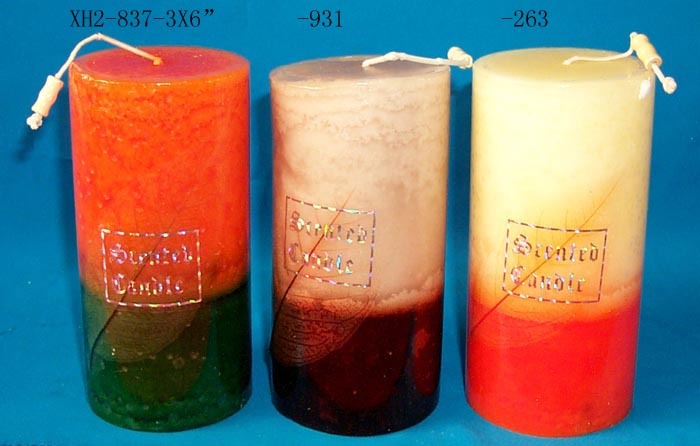 Looking for ideal Pillar Candles Scented Candles Manufacturer & supplier ? We have a wide selection at great prices to help you get creative. 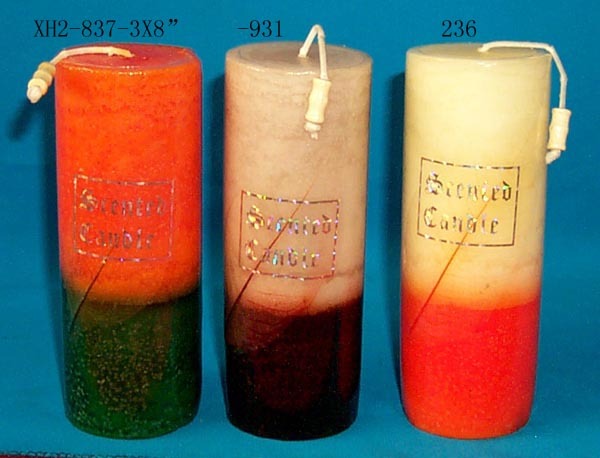 All the Scented Candles Pillar Candles are quality guaranteed. 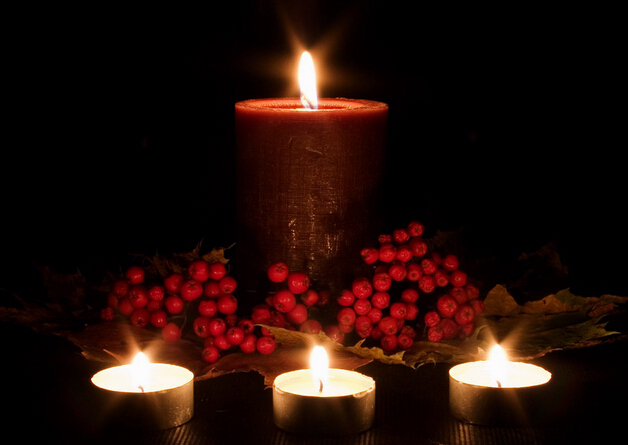 We are China Origin Factory of Decorative Candle Scented Candles. If you have any question, please feel free to contact us.